View More In Protective Equipment. 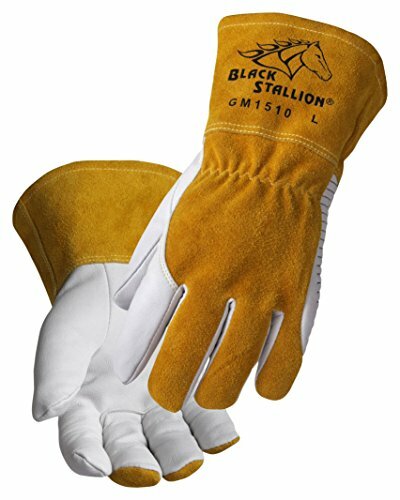 The GM1510-WT is an ultra-soft goatskin mig welding glove with extreme dexterity. The soft goatskin palm is designed to reduce fatigue and provide better gun control while the lined cowhide back offers heat protection and durability. The glove also features Revco's signature drag patch side reinforcement for extra abrasion resistance and heat insulation while the hand is resting on or sliding across a welding surface. A seamless index finger allows for smooth and unobstructed touch. If you have any questions about this product by Black Stallion, contact us by completing and submitting the form below. If you are looking for a specif part number, please include it with your message.